Message International Ban Asbestos Secretariat website: http://www.ibasecretariat.org email: [email protected] Campaigning for a global asbestos ban and justice for all asbestos victims! Commentary by Laurie Kazan-Allen, IBAS Coordinator August 9, 2016 The publication of this detailed analysis of Nepal’s asbestos landscape is both timely and significant. As the first country in South Asia to ban asbestos, the actions taken and mechanisms adopted by Nepal to protect its citizens from hazardous exposures to asbestos are a benchmark which can inform the policies of national governments and regional bodies. It is of some significance in this context to note that Nepal’s neighbours are the world’s second biggest asbestos producer and consumer (China) and the world’s biggest asbestos importer (India). If a country like Nepal, which has been confronted by major challenges following the April 2015 earthquake, can envisage an asbestos-free future other nations can do likewise. This comprehensive and well-written report of work undertaken by the Center for Public Health and Environmental Development under the project entitled “Research and Awareness about Asbestos in Central and Eastern Nepal” highlights the historic measures enacted to facilitate the transition to safer technologies and signposts measures needed to ensure that prohibitions regarding the import of toxic products are enforced. As other ban countries have learned, legal sanctions against asbestos are only effective if they are backed up by a strict enforcement policy implemented by trained and well-equipped personnel. The research and consultations which have taken place in Nepal regarding asbestos consumption, geographical trends, workers’ exposures, incidences of asbestos-related diseases and levels of environmental contamination and the data which has been accumulated as a result of these enquiries are extremely valuable. Delineating the types of employment where occupational asbestos exposures are routine and recording the types of asbestos-containing consumer products which are popular provide government agencies tasked with protecting occupational and public health with a focus for asbestos audits and enquiries. The National Asbestos Profile of Nepal marks a starting point in a national dialogue which will, if it is to succeed, provide the opportunity for all civil society stakeholders and concerned government agencies to become engaged in the battle for a safer world. Nepal’s constitution guarantees its citizens fundamental political, social, cultural and economic rights including the right to live in a healthy and safe environment. These promises can only truly be fulfilled in a society which has turned its back on the use of deadly asbestos technologies. An asbestos-free future is possible. Geo-political maps (1.Between Nepal and China 2. Federal Division) of Nepal A typical residential house in Terai with traditional Clay soil tile, Asbestos sheets and concrete roofing together Asbestos Fibers Asbestos sheet stacked for sale in Janakpur Market, Nepal Asbestos sheets massively used in Terai Nepal Gazette on Ban on Import, Sale, Distribution and Uses of Asbestos Import of Asbestos sheets from other countries to Nepal Import, Sale and Distribution of Asbestos in different part of country (Dhanusha, Siraha, Bara , Parsa) World Asbestos Consumption Brake Shoe asbestos lining workshops in KTM Pictures of Asbestos lining Materials, Worker and Waste at Working station, Putalisadak, Kathmandu Cancer cases in 10 Project Implemented districts of Terai, Nepal (Central to Easter Development Region of Nepal) Death of People from Occupational Exposure to Asbestos in Nepal Vehicle Fleet in Nepal National Network for Cancer Treatment Facility Asbestos waste buried at Maitighar Mandela towards New Baneshwor road extension. Table 1. Losses due to 2015 Earthquake disaster5 25 April 2015 is the worst earthquake in Nepal in 80 years. financially constrained municipalities are still practicing roadside waste pickup from open piles and open dumping, creating major health risks 9. With respect to Hazardous waste, country has increased amount of electrical and electronic waste, obsolete pesticides, POPs Waste, about 1400 tonnes per year of health care waste and asbestos waste is on rise and will be going to be serious emerging issues in near future as millions tonnes of asbestos and asbestos containing products has been imported and used in the country before ban imposed in the year 2015. 1.1 Housing Pattern and Construction Materials Despite of asbestos can be found in different geographical region of the country, it has been massively used in Terai. According to the population census in 2011, Terai comprises 20 districts which account for 17% of the total area of Nepal and has 51% of the Nepalese Population. In Terai, communities with similar ethnic groups use to live together in a small to large clusters. However, due to division in family based on increasing the family members, they have now making clusters of mixed ethnic group and economic status. A typical village and cluster in Terai, now a day is mixture of family of different caste, ethnic groups and diverse economic status found to be living together. school, garage, industrial units etc. to insulating materials in industrial setting. There might be some health and environment implications out of these decade long use and mishandling of asbestos, waste and other products. South-East Asia have accurate information or a good awareness of the use of asbestos in their countries where as some countries like our Nepal do not have such level of information and awareness and hence this national profile aims to blueprint the existing status of asbestos and related issues in Nepal. Prepare a National Asbestos Profile (NAP) of Nepal that helps to development of National Action Program to elimination of asbestos related diseases and environmental degradations. Update the compliance status of the government decision of banning Asbestos. 2. Current regulations (National and International) on the different forms of asbestos There are number of national and international policy and regulation adopted by the Government of Nepal that dealt with the protection human health and environment including specific gazette notification directly banning of import, sales, distribution and uses of asbestos are in place. 2.1 National Policies and Regulations Nepal believes in an integrated approach to democracy, development and human rights and regards them as a triad of the civilized society. Nepal holds the view that all human rights are universal, indivisible, interdependent and inter-related and as such they merit equal emphasis. The new Constitution of Nepal 2015 reaffirms Nepal’s commitment to human rights by guaranteeing fundamental political, social, cultural and economic rights to the citizens.12 Nepal has recently promulgated a Constitution through the Constituent Assembly on 20 September 2015 which encompasses over 30 different fundamental rights including that of workers and/or labours in line with the International Labour Standards and others and also includes the compensation provision in case of failure of ensuring these fundamental rights by perpetrator. In summary, right to employment and social security, right to form trade unions and right for collective bargaining etc. are major labour related rights already included into the constitution of Nepal. Right to live in healthy and safe environment has been recognised by the new Constitution of Nepal 2015 as fundamental right of the citizen of Nepal. Description of Fundamental Right Right to live with dignity Right to Freedom (to form union and association) Right to equality (There shall not be any gender discriminations regarding remuneration for the same work and social security. Right to communication (………or disrespect labour, …………..) Right to information: Every citizen shall have the right to seek information on any matters of concern to her/him or the public. Right to Privacy Right against exploitation (any kind of exploitation on any basis) Right regarding clean environment (Each person shall have the right to live in a healthy and clean environment.) The victim of environmental pollution and degradation shall have the right to be compensated by the pollutant as provided for by law. Right to employment (Every citizen shall have the right to employment…..) Every citizen shall have the right to select employment. Right regarding labour (Every labourer shall have the right to proper work practices.) Every labourer shall have the right to appropriate remuneration, facilities and contribution-based social security. Every labourer shall have the right to form trade union, participate in it, and organize collective bargaining. Right to healthcare (Every citizen shall have the right to seek basic health care services from the state and no citizen shall be deprived of emergency health care.) Each person shall have the right to be informed about his/her health condition with regard to health care services. Each person shall have equal access to health care. Each citizen shall have the right to access to clean water and hygiene. Right to food (Each citizen shall have the right to food.) Right of Women (Every woman shall have equal right to lineage without any gender discriminations.) Every woman shall have the right relating to safe motherhood and reproductive health. Women shall have the right to special opportunity in the spheres of education, health, employment and social security on the basis of positive discrimination. Right of children (No child shall be employed in factories, mines, or in any other hazardous works.) No child shall be subjected to recruitment…………. No child shall be subjected to physical, mental, or any other forms of torture at home, in school, or in any other places or situations etc. .
Chapter 8 of Environment Protection Regulation deals with Compensation and other provisions (Rule 45). May file an application for realizing compensation : -In case anyone wishes to realize compensation from any individual, institution or proponent under section 17 of the Act, he/she may Submit an application to the concerned Chief District Officer mentioning the type of loss suffered by him/her as a result thereof, and the amount of compensation sought by him/her. 2.1.1 Asbestos Ban in Nepal: Government Banned Import, Sale, Distribution and Use of Carcinogenic Asbestos Government of Nepal, Ministry of Population and Environment-MOPE (the then MOSTE) as per the provision of Environment Protection Act 1997 (Section 7 and Sub-section 3) decided to Ban of Import, Sale, Distribution and Use of all Asbestos and Asbestos containing products including Corrugated, Non Corrugated Sheet, Tiles, Insulators by publishing a notice i Nepal Gazette (Khand 64, Number 30, Part 5, Date December 22, 2014, Notice No. 4). This decision helps to protect human health as well as environment from negative consequences of Asbestos. This decision of will automatically come into effect on 181 days from the date of gazette notification14. Environment Protection Act 1997, Section (7). Prevention and Control of Pollution Sub Section 7 (1) Nobody shall create pollution in such a manner as to cause significant adverse impacts on the environment or likely to be hazardous to public life and people’s health, or dispose or cause to be disposed sound, heat radioactive rays and wastes from any mechanical devices, industrial enterprises, or other places contrary to the prescribed standards. Sub Section7 (3) if it appears that the use of any types of substance, fuel, tools or device has caused or is likely to cause significant adverse impacts on the environment, the Ministry may, by a notification in the Nepal Gazette, forbid the use of such substance, fuel, tools or device. CEPHED successfully campaigned for the banning of asbestos and achieved the results. Solid Waste Management Act 2011 and Solid Waste Management Regulation 2013: Solid Waste Management act enacted to manage the solid waste in a systematic and effective way by reducing at its source, re-use, processing or discharge and for maintaining a clean and healthy environment through the reduction of adverse effects that may be caused to the public health and environment. It define “Solid Waste” means domestic waste, industrial waste, chemical waste, health institution related waste or harmful waste and this word shall also mean the materials which cannot be used presently, thrown away. Also define “Harmful Waste” means any substance, matter or radioactive radiation produced in any form, capable of derogating the natural environment, causing damage or, injury to human or living being’s health. Though local body are held responsible to manage solid waste, the prime responsibility for the processing and management within the set standard of harmful waste, health institution related waste, chemical waste or industrial waste shall be of the individual or body producing such solid waste (Art. 4). Laboratory induced Hazardous Allowance Guideline 2015: As per the power conferred by the Governance Act 2007 (Art. 45), Government of Nepal has prepared this guideline. According to this guideline, people working in a laboratory for analysis, research and training under the controlled condition using different chemicals, radiation, microorganism and scientific equipment’s hampering the health in any Government of Nepal`s Offices and working place are entitled to get laboratory induced hazardous allowance as decided by the hazardous allowance committee. Industrial Enterprises Act 1992 though have provision of requiring permission for establishing some of the industries based on Tobacco , explosive and security related, the cancer causing Asbestos industry did not required any permission to be established. Town Development Act, 1988 (2045). It authorizes Town Development Committees to regulate, control, or prohibit any act or activity that causes environmental pollution and implicates adverse effect on public health or aesthetic beauty of an area. It contains penalty provisions in the form of fines for the violation of the Act. The Building Act 1998 made necessary provisions for the regulation of building construction works in order to protect building against earthquake, fire and other natural calamities, to the extent possible, formulate a building code, make recommendation to the Nepal Quality Assurance Council to determine the quality of native or foreign materials related with building construction, classification of buildings, power to supervise the building construction etc. Labour and Employment Policy 2005 (2062 BS)16 has provision of long term goal is to provide productive, non-discriminatory, exploitation-free , decent, safe and healthy work opportunities for citizens of the working ages by building an environment of friendly investments. The workplace will be made safe, healthy and productive by promoting and developing occupational health and safety and reproductive health as inherent aspects of all organizations and workplaces (subsection 3.3.4). Safety and health committees will be constituted and effectively conducted for the identification, planning, implementation, follow-up, evaluation and improvement of activities related to occupational safety and reproductive health at the workplace(subsection 3.3.10). Along with the development of a reporting and documentation system on occupational hazards, training in occupational safety and health will be provided for workers and management personnel (subsection 3.3.11). A manual will be prepared and implemented for the promotion of occupational safety and health, including the management of stress at the workplace (subsection 3.3.12). 2.1.2 Building Codes and Building Materials Nepal’s National Building Code (NBC) was formulated in 1994. After almost 20 years of its existence, the actual implementation still remains a critical issue. In Nepal, municipalities are the responsible agencies to issue building permits. The current municipal building permit process does not ensure the compliance of NBC. Only 3 viz: Kathmandu, Lalitpur and Dharan out of 58 old municipalities in Nepal have tried to incorporate NBC into their building permit process; but these attempts have been too limited and lack the necessary verification to ensure compliance. All municipalities in Nepal did not have even fully equipped to do so. The de facto building permits process in Kathmandu and Lalitpur is very superficial and subjective even though both municipalities enforce NBC compliance in theory. Few generalized checklists have been developed and the questionnaires in checklists are overlooked and easily manipulated. There is no effective mechanism for field verification of approved drawings. The tracking system of building permit processing is also inefficient. Often permit application documents under certification process are lost and manipulated. The documents are found to be replaced with new ones which have been manipulated to conform to the NBC code compliance rules. In order to overcome this malpractice, an effective governance system which can ensure transparency and accountability of the system in each stage of process is required. All these factors necessitated to design an automated system - Electronic Building Permit System (EBPS) - which can systematically handle the complexities of building code compliance and building permit system for both new buildings as well as old building stocks. The sole aim of the automated system is to effectively implement the NBC and Building By-Laws (BBL) to promote safe building construction practices and planned urban development in the national capital of Nepal - mainly Kathmandu and Lalitpur municipalities. While some initiatives have been made from manual building permit system to E-BPS, the closing concerns related to the Nepal Building Code (NBC) 101: 1994 , Material Specification has been specially of our interest as it aimed to regulate the specific construction materials and associated waste especially with respect to the toxic composition of construction materials and waste. 16 http://www.moltm.gov.np/uploads/document/Labour%20policy-Eng-2062_20110904014004.pdf. As government of Nepal banned the import, sale, distribute and uses of all form of Asbestos contained construction materials and fixed the lead paint standard of 90 ppm of lead for all paint, the Material Specification related Building Code 101 and Constructions Safety related Building Code 114 have to be reviewed and revised in this light. Materials The use of materials confirming to NS (Nepal Standard) or IS (Indian Standard) or any other approved standards agency shall deem to have satisfied the requirements of this Standard. A list of such Nepal Standards and Indian Standards appear in section 9 of the Material Specification NBC 101. Standards which are mandatory as minimum requirements for buildings designed to comply with other Nepal Standards for Engineered design has still the provision of using Asbestos as mentioned in Table 9.1. of the building codes as follows. C. ASBESTOS CEMENT PRODUCTS. According to which it allows IS: 459-1970: Specification for unreinforced corrugated and semi-corrugated asbestos cement sheets (second revision). IS :1626: Specification for asbestos cement building pipes and pipe fittings, gutters and gutter fittings and roofing fittings. IS : 2096-1966 : Specification for asbestos cement flat sheets. IS: 2098-1964: Specification for asbestos cement building boards. 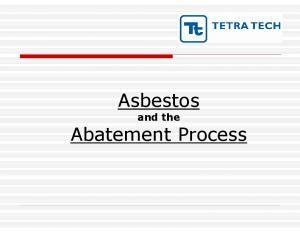 IS: 5913-1970: Methods of test for asbestos cement products. IS: 6908-1975: Specification for asbestos cement pipes and fittings for sewerage and drainage. IS: 7639-1975: Method of sampling asbestos cement products. IS: 9627-1980: Specification for asbestos cement pressure pipes (light duty). Y. READY MIXED PAINTS AND ENAMELS IS: 101-1964 Methods of test for ready mixed paints and enamels (second revision) IS: 102-1962 Specification for ready mixed paint, brushing, red lead, non-setting, and priming (revised) AA. VARNISHES AND LACQUERS IS :197-1969 Methods of sampling and test for varnishes and lacquers (first revision) These need to be amended and use our own Nepalese Standard of Lead in Paint not containing more than 90 ppm of lead. Likewise the NBC 114 deals with the Constructions Safety related Building Code. It includes 10 Constructions of Roofs 10.2 When roofs are to be covered with corrugated iron sheet or asbestos cement sheet, or similar each joint shall be fixed securely so as to prevent slippage during construction. 10.3 Workers shall not be allowed to walk directly on asbestos cement sheet. Similarly, NBC 208 : 2003, Sanitary and Plumbing Design requirements has still the provision of using Asbestos Cement pipe for 2 Disposal of Sewage/Waste Water and Pipe Work : 2.3 The pipes used for disposal /conveyance of sewage /waste water can be either Salt Glazed Stoneware Pipe, Cement Concrete Pipe (Plain or reinforced) Cast Iron pipe, Galvanized Iron Pipe , Asbestos Cement Pipe , Lead Pipe , PVC or HDPE Pipe . The jointing of those pipes will be either spigot and socket type or collar type (2, 2.3)17 as well as Rain Water Disposal . Rainwater pipes shall be constructed of cast iron, PVC pipe asbestos cement, galvanized sheet or other equally suitable material and shall be securely fixed (C, 8). 2.1.3 Green Building Guidelines: Green building Guideline has been under preparation which though included several good and environmentally sound practices in a home to be declared as the Green Home. These includes green building material mainly the hollow blocks, passive solar design, energy efficiency, water conservation and waste management. It did not considered construction materials which might be toxic such as leaded paint, asbestos roofing , asbestos piping and insulating materials, CFL Bulbs contain toxic mercury, solar panel consist of Lead sheet and storage battery etc. need to be mentioned and safer alternative should be included into the Green Building Guidelines. CEPHED has well informed the Department of Urban Development and Building Construction (DUDBC), Ministry of Urban Development, Government of Nepal and developing partner like UN Habitat and European Union about these issues to be addressed. 2.1.4 Bylaws on Settlement Development, Urban Planning and Building Construction 2015 The government endorsed Fundamental Construction Bylaws on Settlement Development, Urban Planning and Building Construction 2015 focusing on developing safer communities to deal with future disaster risks. The standards prepared by the Ministry of Urban Development comes six months after the country was hit by a devastating earthquake causing huge damage of lives and properties, including the damage of buildings built without following basic building safety code. The new bylaws state that buildings up to 10m high have to leave a minimum of 1.5m setback from the border of the land plot. Only houses up to three storeys and having a common height can be joined together. Public buildings up to 17m high have to leave a minimum setback of 3m while non-public buildings have to allocate for 2m setback. The minimum setback for even taller buildings is 5m. The new bylaws are a “definite improvement” on the shortcomings of National Building Code of 1994. “The provision for compulsory load-bearing capacity testing for land plots filled with 1m soil and the provision on building foundations are in par with latest technological standards,”. It has also provision for the formation of a Central Urban Planning and Building Construction Bylaws Improvement and Supervision Committee for facilitating the implementation of the new building code.18 It required implementing in all municipalities including all the VDCs with more households. 2.1.5 Bilateral and Multilateral trade agreements with asbestos import provision (A) Trade agreement between Government of Nepal (the them His Majesty`s Government of Nepal) and The Government of The Arab Republic of Egypt done and signed at Kathmandu on Tuesday Twenty Third Day of December Nineteen Hundred and Seventy Five. This agreement has some good provision related to health and safety. Namely Article III of the Agreement deals with the High Contracting Parties shall do their best to promote exFigure 7 Import of Asbestos sheets from pand the volumes trade between the other countries to Nepal two countries in particular with regard goods and commodities mentioned in List “A” and “B” annexes which form an integral part of this Agreement. List “A” designates the List of exports from Nepal and List “B” designates the List of exports from the Arab Republic of Egypt. Article V of the same agreement dealt with the foregoing provision, either High Contracting Party may maintain or introduce such restrictions are necessary for the purpose of: Protecting human, animal and plant life among others. According to this agreement, the list “B” Egypt’s Exports to Nepal (14 items) includes Asbestos Sheets (B) Nepal’s Trade & Transit Agreement between Government of Nepal (the them His Majesty`s Government of Nepal) and The Government of The Czechoslovak Socialist Republic Trade and Payments Agreements Signed in Kathmandu 12th December, 1992 dose have provision of exporting Asbestos cement pressure pipes to Nepal. (C) Another agreement between Government of Nepal (the them His Majesty`s Government of Nepal) and The Government of The Socialist Federal Republic of Yugoslavia with list of Commodities Signed at Kathmandu September 5, 1965 dose have provision of exporting Asbestos, cement pipes and fittings to Nepal. In light of the Government of Nepal’s decision of banning all form of Asbestos and Asbestos containing products, all these international and bilateral agreements with the provision of import and export of asbestos containing products need to be revised and updated. 2.2 International Policies and Regulations Action on elimination of asbestos-related diseases has a sound international basis that includes primarily ILO international instruments, WHO recommendations and multilateral environmental agreements. 2.2.2 Resolution concerning asbestos (adopted by the 95th Session of the International Labour Conference, June 2006) The General Conference of the International Labour Organization. Considering that all forms of asbestos, including Chrysotile, are classified as known human carcinogens by the International Agency for Research on Cancer, a classification restated by the International Programme on Chemical Safety (a joint Programme of the International Labour Organization, the WHO and the United Nations Environment Programme (UNEP). Recognising all the form of illness, death and occupational injuries, diseases and deaths, ILO came with the international resolution that stated as follows. 1. Resolves that: • The elimination of the future use of asbestos and the identification and proper management of asbestos currently in place are the most effective means to protect workers from asbestos exposure and to prevent future asbestos-related diseases and deaths; and • The Asbestos Convention, 1986 (No. 162), should not be used to provide a justification for, or endorsement of, the continued use of asbestos. 2. Requests the Governing Body to direct the International Labour Office to: • Continue to encourage member States to ratify and give effect to the provisions of the Asbestos Convention, 1986 (No. 162), and the Occupational Cancer Convention, 1974 (No. 139); • Promote the elimination of future use of all forms of asbestos and asbestos containing materials in all member States; • Promote the identification and proper management of all forms of asbestos currently in place; • Encourage and assist member States to include measures in their national programmes on occupational safety and health to protect workers from exposure to asbestos; • Transmit this resolution to all member States. of Hazardous Wastes and Their Disposal, and are, therefore, subject to strict control. Nepal is party to both these MEAs Rotterdam Convention and Basel Convention since obelise to adopt all the control measures inbuilt to them26. The 58 World Health Assembly urged Member States to pay special attention to cancers for which avoidable exposure is a factor, particularly exposure to chemicals at the workplace and the environment.27 Asbestos is one of the most important occupational carcinogens causing about half th of the deaths from occupational cancer. In May 2007, the 60 World Health Assembly endorsed a global plan of action on workers’ health 2008-2017 in which Member States requested the WHO Secretariat to include in its activities “a global campaign for elimination of asbestos-related diseases - bearing in mind a differentiated approach to regulating its various forms - in line with the relevant international legal instruments and the latest evidence for effective interventions…”28 WHO’s assistance to countries to eliminate asbestos-related diseases will therefore be particularly targeted to those Member States that still use Chrysotile asbestos, in addition to assistance in relation to exposures arising from historical use of all forms of asbestos29. WHO in collaboration with ILO and with other intergovernmental organizations and civil society, will work with countries towards elimination of asbestos-related diseases in the following strategic directions: • by recognizing that the most efficient way to eliminate asbestos-related diseases is to stop the use of all types of asbestos; • by providing information about solutions for replacing asbestos with safer substitutes and developing economic and technological mechanisms to stimulate its replacement; • by taking measures to prevent exposure to asbestos in place and during asbestos removal (abatement); • by improving early diagnosis, treatment, social and medical rehabilitation of asbestos-related diseases and by establishing registries of people with past and/or current exposures to asbestos.30 However, Nepal is neither party to the ILO Convention 162 Asbestos Convention 1986 nor the ILO Convention 139 on occupational cancer Convention 1974 which is to protect against carcinogenic substances or agents and safeguard for workers’ rights. This Convention requires Member States to implement national laws or regulations to protect workers against carcinogenic substances of agents. France banned the production and import of asbestos-based products in 1997, followed by Belgium in 1998. During November 1999, UK prohibited the use, import and manufacture of chrysotile asbestos on the grounds of health risks.32. Nepal banned the asbestos on 22nd December 2014 with 6 moth exemption period and hence took effects on 20th June 2015. 3. Import and consumption of asbestos per year (total and per major uses and forms) Nepal did not process and mines the asbestos but import a large quantity of the same for different uses and purposes as there are various Asbestos Sheet Dealers all over Nepal33. Asbestos is not mined in Nepal. So all the asbestos, asbestos containing products has been imported and consumed. Nepal does not export the asbestos and hence whatever it imports is being consumed in the country in different sectors housing to industrial etc. 3.1 Importation and Consumption of Asbestos in Nepal According to the information obtained from Department of Custom, Ministry of Finance, Government of Nepal, different amount of Asbestos has been imported from various countries to Nepal. Following table gives the asbestos importation to Nepal34. Other friction material & article, not containing asbestos. asbestos consumption based on USGS. These are once again differs from the import and export data between Nepal and India as per their Mineral Year Books. There is no way to verify these datas among and between the sources. http://minerals.usgs.gov/minerals, Mineral Industry Survey of World Asbestos consumption from 2003 through 2007, USGS, 2014, 2015, 2016 USGS Mineral year books. Another study35 of Mineral Industry Survey of World Asbestos consumption from 2003 through 2007 shows long legacy of the import of Asbestos products in Nepal and elsewhere. According to this survey, the consumption of asbestos in Nepal over the period of 2003 to 2014 has been tabulated here. Despite widespread knowledge of the hazards of asbestos and bans on any use of asbestos in more than 60 countries, an estimated 2 million tons of asbestos continue to be used around the world each year. Although this amount is significantly less than peak annual consumption of nearly 5 million tons two decades ago, significant amounts of asbestos are still used in India, China, Russia, and some developing countries. This use of asbestos is responsible for disease today and will cause still more asbestos-related disease in the years ahead. All forms of asbestos pose grave dangers to human health. All are proven human carcinogens. There is no continued justification for the use of asbestos. Its production and use should be banned worldwide36. 4. Import of asbestos-containing materials Asbestos and asbestos containing products has been imported under following product harmonisation codes in Nepal from India, China, Hong Kong, Thailand, United Kingdom, and United States etc. Its quantity has been mentioned in the above table. Table 6. Import of Asbestos and Asbestos containing materials from different countries No. Exports of asbestos from India to Nepal were 252 tonnes in 2010-11 as compared to 559 tonnes in the previous year. Out of the total exports in 2010-11, exports of chrysotile asbestos were 43 tonnes while those of other asbestos varieties were 209 tonnes. Exports were mainly to Nepal. Exports of asbestos-cement products from India to Nepal were 46,882 tonnes in 2010-11 as compared to 39,389 tonnes in the preceding year37. From table, it is clear that most of the asbestos products in India are just exported to Nepal only while in case of asbestos cement products exportation to Nepal is less in comparison to other countries from India. 6. Domestic production of asbestos-containing materials There is no any known domestic production of asbestos containing materials in Nepal as it did not have any asbestos based production industries establishment in Nepal. However, raw asbestos, asbestos spraying materials, asbestos felts, asbestos containing insulation and chimney materials, asbestos containing corrugated/plane sheets, asbestos papers, asbestos containing cement pipes, boards, asbestos pacing and gaskets, asbestos textiles, cloths, strings, tapes and ribbon, asbestos containing paints, sealing materials, adhesive; asbestos containing friction materials (brake pads etc. ) others asbestos materials (rock wool, vermiculite, talc, wire, kerosene heater wick etc. products are being imported and used in Nepal . 7. Estimated total number of workers exposed to asbestos in the country Estimation of workers exposed to asbestos has not yet been made by government and/or private sectors. However, Labor and Employment Policy required reporting and documentation system on occupational hazards, training in occupational safety and health will be provided for workers and management personnel. Nepal did not have any factory especially on the asbestos production but workers are definitely getting exposed in the use sectors e.g. Roofing and other Industries (e.g. Sugar mills where Asbestos/ containing products has been reported to be used). The table below gives the industrial establishments and number of person engaged and numbers of employments in manufacturing establishment of Nepal39. Mining , carrying or crushing of asbestos containing minerals , rocks, waste handling Handling of asbestos containing cements and products Involvement in the manufacturing of the following asbestos containing materials Asbestos containing textiles e.g. asbestos yarn, asbestos cloths etc. Asbestos containing cement or products made from such cement including slate, high pressure piping, cylinders etc. . Asbestos containing thermal resistance products used for lagging of boilers, joint sheets in internal combustion engines, as gaskets (packing) etc. Asbestos containing wear-resistant (friction) products including brake lining for cars, hoisting machines etc. Asbestos containing paper used for electrical insulation, thermal insulation or because such paper is acid-resistant etc. Asbestos containing products such as asbestos felt (used to insulate electric wires; as a general insulation materials ; or t impart acid-resistance to construction materials and Asbestos containing products such as electrolytic diaphragms, tile sealing materials, tiles, plasters (etc.) and paints (etc.). Asbestos spraying Handling of an asbestos containing products used to impart thermal protection or insulation Processing (cutting etc.) of asbestos containing products Maintenance or demolition of a building in which an asbestos containing products has been used as lagging or as a building materials , or work in an adjunct facility. Maintenance or demolition of a vehicle containing asbestos containing products Handling of a minerals (talc etc.) containing asbestos as an impurities Other works involving exposure to asbestos dust to an extent that was the same or in excess of the exposure level created by participation in the types of work listed above. Working involving indirect exposure to asbestos dust, including working at the periphery of a place which any of these types of works described above took place. 9. Industries with high risk of exposure (where overexposure is documented as exceeding occupational exposure limits) and estimated total number of workers at high risk Country neither has documentation on the exposure risks to asbestos nor has fixed any occupational exposure limits for the asbestos fibers. So it is not possible to estimate total numbers of workers who are at high risks of asbestos exposure. exposure during the break lining and repairing centres available in major urban centres. Capital city Kathmandu alone have about half a dozen of brake lining and repair centres that uses a lot of different varieties of the asbestos lining and under severe threat of getting higher level of exposure. Following are the brake lining workshops exist in the Kathmandu Valley about 30 to 50 personnel’s engaged in such work are susceptible of developing asbestos related diseases. Brake Lining fixing workshops (Dealers/Shops) (a). Panchkanya Workshop (In front of Chabhil, NTC Building) (b). Sholti Mod (c). Shoyambhoo Sano Bharyang (d). Gowarko (opposite to B & B Hospital) (e). Balaju (next to Naya Bajar Bridge) (f). Bansghari, Putlisadak (Mr. Laxman Dangol, 9841326345) Brake Lining Sales (Dealers/Shops) (a). Lazimpat (Behind the Hotel Gyanjong) (b). National Auto Parts, Kalimatti (RANE Brake Shoe Dealer 9808275880) The recent study of asbestos in workshops dust and accessories indicates high level of asbestos contamination in the working place thus having high potential of getting exposure. 10. Estimate of the burden of diseases related to asbestos: disability adjusted life years (DALYs) and deaths attributable to asbestos exposure No any country specific data on Asbestos Related Disease (ARD) based on Nepalese study. But WHO Global Burden of Diseases (GBD) have some figure clearly indicating increased number of death cases in Nepal due to asbestos exposure. There is thumb rule of 170 tons equivalent of 1 Mesothelioma Case and based on this thumb rule as well, many mesothelioma cancer cases would have been occurred. Additionally, Doctors working in specialized Cancer hospital of Nepal said that there was some case of Mesothelioma found and undergone the treatment, but it is about to impossible to extract exact record and associated other information of the patients as they might have mixed with other types of cancer e.g. Lung Cancer and with other type of cancer. So it is not possible at the moment to come with the estimate of the burden of diseases related to asbestos and disability adjusted life years (DALY`s) and exact numbers of deaths attributed to asbestos exposure for sure. Asbestos Related Disease (ARD)and disability adjusted life years (DALY`s) based on estimated of global burden of diseases of WHO can be found in Annex 3. 11. Prevalence of asbestosis (total number of workers with diagnosed asbestosis, asbestos-related lung cancer and mesothelioma to-date) – national data, a breakdown by industries if available No data on prevalence of asbestos, asbestos related lung and mesothelioma available in the country. 12. Incidence of lung cancer among workers exposed to asbestos Though there is no population based national record of cancer, it is established that incidence of cancer is approximated at 100-120 per 100000 and the assumption is there are 55000-60000 cancer patients at any point of time in the country.40 The asbestos related cancer cases have yet to be delineating from total recorded cancer bronchus and Lung cancer so far identified in Nepal as of 2003 to 2013. Additionally total cancer cases in the project area as there are patient have undergone treatment of Mesothelioma but grouped under lungs cancer. The project area (10 Districts of Central Development Region to Eastern Development Region from Parsa to Morang districts) has relatively large number of cancer cases as per the consolidated record of 13 hospitals that serves the cancer patients all over Nepal (2013). Distribution of cancer based on Occupation basis41. In the year 2013, out of 8729 cancer cases, 2755 (31.6%) cases were from agricultural sector and 1912 (21.9%) from the housework and followed by 392 (4.5%), 273 (3.1%), 221 (2.5%) were from others, office work, and business respectively. Whereas 320 (43.7%) were not applicable and 2856(32.7%) were not available. Total Household in Nepal 45 Central Bureau of Statistics (CBS) Nepal has brought the results of the National Population and Housing Census 2011 (NPHC 2011). According to them, there were all together 5423297 households in Nepal including urban household 1045575 (19.3%) and rural households are 4377722 (80.7%). According to annual household survey of CBS 2013/14, average number of rooms per household for Nepal as per the survey results are 4.7 (4.4 in urban and 4.7 in rural area). Thus there is a total of 25175793 house stock in Nepal. Considering only 20 percent of the houses have asbestos roofing in mostly in rural setting 5035158 houses might be having toxic asbestos roofing. 14.2 Vehicle fleet containing asbestos Department of Transport Management was established in 2041 B.S. for the smooth management of transport. The purpose of this department and its affiliation, as per Vehicle and Transport Management Act 2049 and Vehicle and Transport Management Rules 2054, is to provide safe, reliable and easy transportation service to the public and goods carrier. 15. Total number of workers eligible for compensation for asbestos-related diseases, such as asbestosis, lung cancer and mesothelioma (per year) and the numbers of individuals compensated yearly There is no formal identification of asbestos related diseases such as asbestosis, lung cancer and mesothelioma has been made so far linked to any particular industries and/or occupational exposure and hence workers eligible for compensation for this has not been realized yet. However, there are cases of mesothelioma cases in Nepal as per the health care professional experiences as well as based WHO global burden of diseases estimates. 16. National enforceable occupational exposure limits for Chrysotile asbestos There is no any national enforceable occupational exposure limits for Chrysotile asbestos has yet been enacted in Nepal. Need to be formulated as earliest possible with monitoring mechanism in place. 17. The system for inspection and enforcement of the exposure limits There is no any system for inspection and enforcement of the exposure limit as there is absence of enforceable occupational exposure limits for asbestos in Nepal. Need to be formulated as earliest possible with system for inspection and enforcement of the exposure limit in place. 17.1 Systems for Monitoring asbestos uses and surveillance of ARD`s; There are no any system for monitoring asbestos uses and surveillances of ARD`s. But based on internally accepted formula, it can be inferred that there might be some diseased cases of asbestos. Additionally, WHO GBD also has estimated increased death cases of asbestos related exposures. In studies from the Finnish Institute of Occupational Health, at least one case of mesothelioma occurred for every 170 tons of asbestos used. Based on this internationally accepted formula, Asia and the Middle East’s current asbestos consumption would lead to 8,000 mesothelioma cases annually.46 Based on the same statistics, in case of Nepal, depending on the import of asbestos and asbestos cement in the following years the table given below gives an estimated case of mesothelioma, an incurable form of cancer cases in Nepal. NOTE: According to Finnish Institute of Occupational Health, at least one case of mesothelioma occurred for every 170 tons of asbestos used. 18. Estimated economic losses due to asbestos-related diseases No any estimated economic losses due to asbestos related diseases have yet been made. However, increased health and economic losses might have been occurring in Nepal. 19. Major studies on epidemiology of asbestos-related diseases in the country No any specific studies on epidemiology of asbestos-related diseases in the country have yet been carried out. However, there are few studies and review has been made on Occupational Safety and Health issues those talks about the asbestos induced diseases but not have any specified cases related to asbestos in Nepal. 20. National capacity for detection, diagnosis and treatment of asbestos related diseases (ARD`s) 20.1 Diseases Associated With Asbestos Two groups of diseases are associated with exposures to asbestos: nonmalignant diseases, which can be fatal, and cancer. The nonmalignant diseases associated with exposure to asbestos include asbestos warts, benign asbestosis pleural effusion, and the disease asbestosis. Traditionally, asbestosis involved both the parenchymal of the lung and the pleura, although a more modern view separates pleural disease from parenchymal fibrosis. The nomenclature is of little importance and both pleural and parenchymal fibrosis can lead to death. The malignant diseases related to asbestos include lung cancer, mesothelioma, ovarian cancer, and laryngeal cancer, as well as a variety of gastrointestinal tract, oro-pharyngeal, and kidney cancers. In some groups, such as insulators, 1 in 5 deaths is due to lung cancer with a documented synergistic effect of smoking. Also among insulators, approximately 10% to 12% of deaths are due to mesothelioma, a disease thought to occur at a background rate of 1 per 1 million, or less. 20.3 National Capacity for Cancer diseases Cancer incidence is increasing and becoming a leading cause of death worldwide. Deaths from cancers continue to increase worldwide, particularly in countries with low and middle income leading to a global burden. The burden of cancer is not less for Nepal. Cancers of lung, uterine cervix, head ≠ck, breast and Figure 15. National Network for Cancer Treatment Facility stomach are the most common types in Nepal. The majority of cancer patients were attended only 7 major hospitals of the country at an advance stage.48 With increase in the number of cancer patients, numbers of hospital providing cancer related treatments have increased to 13 in number with some specialized facilities for the cancer treatment only in recent years. Nepal hosts the specialised Cancer Hospital as well as there are numerous other big hospitals that are providing good detection, diagnosis, treatment to the cancer patients and also having prevention, control and research programs on Cancer. So cancer related national capacity is there in place may need to expand its field of treatment to the Asbestos related diseases as well. These hospitals provide the wide range of diagnostic, curative and palliative services through different departments and units. Besides curative services, the hospitals provide cancer prevention and early detection services under National Cancer Prevention and Control Programs. The comprehensive cancer centre being provided as of today from following health care facilities at government and private sectors. Table 16. Cancer treatment health care facilities in Nepal S.No. 48 Kalloo Sharma Subedi, M.D., D.M.R.D., Pragya Sharma, M.B.B.S.Department of Radiation Oncology, Graduate School of Medicine, Gunma University-Japan. Department of Radiology, Western Regional Hospital, PokharaNepal.Teaching Hospital, Manipal College of Medical Sciences, Pokhara-Nepal. B.P. Koirala Memorial Cancer Hospital (or BPKMCH)49 is a hospital of Nepal located in Bharatpur, Chitwan of Central Development Region. The hospital is one of the very few specialized hospitals outside the Kathmandu valley in Nepal. The hospital was founded by the government in 1992. In 1995, it started offering day services, treating inpatients from 1999. The hospital was equally funded by China and Nepal. The hospital is named for Bishweshwar Prasad Koirala, who served as the first democratically elected Prime Minister of Nepal from 1959 to 1960 and who died of throat cancer in 1982. The hospital is the one of national cancer institute in Nepal entrusted with the responsibilities for diagnosis, treatment, rehabilitation, prevention and research in cancer in Nepal. Though there is no population based national record, it is established hat incidence of cancer is approximated at 100-120 per 100000 and the assumption is that there are 55000 to 60000 cancer patients at any point of time in the country (2014 Annual report). The hospital provides diagnostic, therapeutic and supportive services to cancer patients. The hospital deals with oncology, radiation oncology, surgical oncology including GI surgery, advanced reconstructive urosurgery, neurosurgery and head neck surgery, gynecological oncology, radiology, pathology, preventive oncology and hospice care. A volunteer organization, Cancer Welfare Society, helps the patients and relatives in need during the hospital stay. Surgical oncology provides care doing sentinel lymphode biopsy for breast cancers, breast reconstructions and mammography guided needle localization biopsy. In GI surgery, three field lymphhadenectomy for carcinoma esophagus, D2 dissection for cancer of stomach, APER for advanced rectal cancers, low anterior resection for low lying rectal cancer is feasible. In urology, cystectomy and reconstruction on orthotopic neobladder is done in suitable candidates. Advanced composite resection and flap reconstructions are done in H&N surgery when required. The Radiotherapy department uses linear accelerators and eclipse planning systems for the treatment and planning. Medical oncology also uses molecules for treatment of cancer, mainly hematological malignancies. 20.4 On-going research (if any) to address information gaps As such there is no known level of on-going research on asbestos related subject except CEPHED has been carried out about the testing of asbestos about its content and type as well as dust sampling to know the exposure level among the asbestos workers in brake shoe lining workshops. production and productivity, directly as well as indirectly and to establish tripartite cooperation for the protection and promotion, Control and minimization of occupational accidents and diseases. 21. Country level action plan, partnerships and coordination mechanism to eliminate ARD`s No concrete actions has been initiative by any especially for the asbestos related diseases but there are some good legislative and institutional frameworks in place to address and occupation safety and health issues in Nepal as OSH project under the Ministry of Labour and Employment, Department of Labour supposed to looks overall occupational health related issues including asbestos. Cancer registry initiatives as well as good networks of general cancer prevention, diagnosis and treatments inbuilt general to specialised cancer hospitals are operating in country with modern treatment facilities. Figure 16. Asbestos waste buried at Maitighar Mandela towards New Baneshwor road extension. had initiated several round local level compliance monitoring and campaign with the concerned government agencies towards ensuring effective implementation of the ban decision. As part of the year 2011 International Workers Memorial Day (IWMD) celebration , on April 30th 2011, a joint delegation of BWI (Building and Wood Workers International)`s Nepal affiliates (CUPPEC , CAWUN and GEFONT) 51 met with the Prime Minister, Jhala Nath Khanal and submitted a memorandum of urging to ban Asbestos in Nepal. The Prime Minister showed keen interest on the issues and seems to have an understanding on the health hazards associated with Asbestos. He assured the unions to initiate consultations with concerned ministries soon. The affiliates on their part have resolved to organise more awareness activities to push for a ban on asbestos in all forms by the Nepal Government, Earlier on 28th April 2011, the Nepalese affiliates organised an interaction program to commemorate the IWMD. The event was brought together 75 participants from the two BWI affiliates, national trade union centres, Occupational Health and Safety Centre and the Ministry of Labor. In addition, there were some advocacy campaign were carried out by a NGO called PRO PUBLIC for safe handling and banning of asbestos in Nepal. 23. Health Impacts of Asbestos Today, asbestos is classified as a known human carcinogen. Asbestos fibers are microscopic (roughly 0.02 diameter of a human hair), and therefore, are easily inhaled. Once inhaled, fibers stick to respiratory system, including lining of lungs and inner cavity tissue. As asbestos fibers are typically quite rigid, they become lodged in soft internal tissue of respiratory system and are not easily expelled or broken-down by body. There is no safe type of asbestos and no safe level of exposure. Over time, these fibers can accumulate and cause scarring and inflammation, which can affect breathing and lead to serious health problems (ATSDR 2009). Severe ascites Shortness of breath, wheezing, or hoarseness. A persistent cough that gets worse over time. Blood in sputum (fluid) coughed up from lungs. Pain or tightening in chest. Difficulty swallowing. Swelling of neck or face. Loss of appetite, Weight loss. Fatigue or anaemia. 23.1 Problem of Asbestos Damage to asbestos-containing material can result in the release of small asbestos fibres that become airborne and are readily inhaled. These fibres can remain in the lungs for long periods and can cause serious lung disease. 23.2 What are the health concerns? The principal health concerns are the development of asbestosis, lung cancer, pleural thickening and mesothelioma. These diseases have long latency periods, in the order of 10-50 years. Asbestosis: This is a slowly developing and progressive scarring of the lungs caused by the inhalation of high concentrations of asbestos dust and/or long exposure. The elasticity of the lungs is reduced and also their ability to exchange gases. The result is decreased lung volume, increased resistance in the airways and reduced oxygenation of blood. It is associated with occupational rather than environmental exposure. Advanced asbestosis is often associated with lung cancer, especially among smokers. Lung cancer: The risk is related to the nature of the occupational exposure and also to smoking: smokers have a higher risk of developing lung cancer than non-smokers when exposed to asbestos. Diffuse pleural thickening: This is a non-malignant disease in which the lining of the lung (pleura) becomes scarred. Small areas of scarring are called pleural plaques. The disease is a chronic condition with no cure. Mesothelioma: This is a malignant tumour of the pleura or peritoneum. It is linked with exposure to all types of asbestos. As well as being an occupational hazard, it may develop in non-occupationally exposed people living in the same household as asbestos workers or in the vicinity of strong asbestos emission sources. 23.3 What is a safe level of exposure? Asbestos is a proven human carcinogen (IARC Group 1). No safe level can be proposed for asbestos because a threshold is not known to exist. The greater the exposure, the greater the risk of developing lung disease, therefore exposure should be kept as low as possible. A number of occupational exposure limits have been set: The USA Occupational Safety and Health Administration (OSHA) standard for asbestos in the workplace is 0.1 fibres/ml of air as an 8-hour Time Weighted Average. 23.4 What are the risks in the post-tsunami (or post-earthquake) clear-up? During the clear-up damaged and destroyed buildings after the tsunami and/or earthquake, it is likely that there will be a need to handle and break up and dispose of asbestos-containing building and insulation materials. Much of this work may be undertaken by volunteers and local residents who are unaware of the hazards of asbestos and who may be unable to identify asbestos-containing material. 23.5 How can risks be minimized? The main principles of safe handling are to: • identify the locations of asbestos-containing materials and carry out a risk assessment • ensure that people involved in clear-up work are adequately informed of the risks and the methods of best practice; • minimize the disturbance of asbestos containing materials; • minimize the release of respirable asbestos in the atmosphere by wetting; • minimize the extent to which people have contact with asbestos; and • ensure that waste is securely stored and adequately labelled. 23.7 Substitutes Numerous materials substitute for asbestos. Substitutes include calcium silicate, carbon fiber, cellulose fiber, ceramic fiber, glass fiber, steel fiber, wollastonite, and several organic fibers, such as aramid, polyethylene, polypropylene, and polytetrafluoroethylene. Several nonfibrous minerals or rocks, such as perlite, serpentine, silica, and talc, are considered to be possible asbestos substitutes for products in which the reinforcement properties of fibers were not required. For the chlor alkali industry, membrane cell technology is one alternative to asbestos diaphragms53. Substitutes for these asbestos products are not limited to products that simply replace asbestos with another material (e.g., PVA and cellulose in fiber-cement roofing sheet). There are also a number of wholly different products that can replace the asbestos products. A number of substitutes for asbestos-cement products are included in the following table54. Fiber-cement roofing using: synthetic fibers (polyvinyl alcohol, polypropylene) and vegetable/cellulose fibers (softwood kraft pulp, bamboo, sisal, coir, rattan shavings and tobacco stalks, etc. ); with optional silica fume, flyash, or rice husk ash Microconcrete (Parry) tiles Galvanized metal sheets Clay tiles Vegetable fibers in asphalt Slate Coated metal tiles (Harveytile) Aluminum roof tiles (Dekra Tile) Extruded uPVC roofing sheets Recycled polypropylene and high-density polyethylene and crushed stone (Worldroof) Plastic coated aluminum Plastic coated galvanized steel. Fiber-cement using vegetable/cellulose fibers (see above), wastepaper, optionally synthetic fibers Gypsum ceiling boards (BHP Gypsum) Polystyrene ceilings, cornices, and partitions Façade applications in polystyrene structural walls (coated with plaster) Aluminum cladding (Alucabond) Brick Galvanized frame with plaster-board or calcium silicate board facing Softwood frame with plasterboard or calcium silicate board facing. 24. Environmental Impacts of Asbestos 24.1 Environmental Impacts As such there is no dedicated dumping of the Asbestos waste so far seen in the country and the project site of Central to Eastern Terai. However, in 2013, there were piles of the asbestos waste were dumped in the heart of the capital city Kathmandu in a very popular and most travelled place/ junction called Maitighar Mandala (Fig below) and buried as well as remaining still supposed to cove under the road expansion corners towards Maitighar to Baneshowar. After writing the advocacy campign letter (Annex 1) to the Ministry of Population and Environment- MOPE ( the then Ministry of Science, Technology and Environment- MOSTE) and copy to Ministry of Health (MOH), Prime Minister Office as well as President Office through a formal advocay letter from Center for Public Health and Environmental Development (CEPHED) along with the picture of the Asbestos Waste on the letter itself on 25th November 2013. The letter have taken the argument of dringking water contamination, the dumping has been happening in the most popular cross sections of the roads daily traveled by many governnent and associated buisiness communities and general public and asked for immediate collection and safety manage the waste. Department of Road and Ministry of Phyiscial Planning and Works were also infored about the dumping and asked to take care of their waste and ensure completely removal of such toxic waste being burried under road. So these are only known hotspot and environmental dumping of asbestos waste so far in Nepal. Department of Environment (DOE) were directed to act immediately from the MOPE and have removed all the asbestos from this location but dumpped again in the Teku Waste Transfer Station (Fig below). We did not found any piece of such waste at the moment at Teku after a year, were just disposed along with the other city garbage to the landfill site. But MOPE acted further and initiated positive steps to ban the import, sale, distribute and uses of all form of asbestos exept lining of brake shoe and clutch plates on December 22, 2014 through a gazette notification (Khand 64, Number 30, Part 5, Date December 22, 2014, Notice No. 4). The decision has been took effects from 20th June 2015. Figure 20.. Up on complain filled to MOPE, MOH and OPMCM, Department of Environment immediately took away some left over Asbestos waste from Maitighar Mandala to Teku Waste Transfer Station on 25th November 2013 and left unattended again. In addition to this direct initiative from the MOPE and DOE, Department of Road, the responsible agencies for road expansion were also asked to address these issues. 25. Hotspots (School, College, Government Offices, Waste, etc.) Asbestos has been found to be imported from long back into the country for various purposes under different trade and cooperation mechanism with several countries. However this material were not so popular till recent past (a decade ago). The old USAID funded project and/or other ODA supported project on Road Sector, Geology and Mines Sector, Agriculture sectors had been found uses of Asbestos as the roofing materials. Hardly, any private building had seen using the asbestos as roofing materials before 10 years. However, in the recent years the asbestos corrugated sheets were became so popular among the local people especially in Central and Eastern Terai and being massively used for the roofing materials in many schools, colleges, government offices and even massively in private houses. Visiting several villages (more than 10 villages) from Parsa district (Central Terai ) to Morang district ( Eastern Terai), all most all villages and almost entire private houses have been found using asbestos as roofing materials at least for their kitchen and cattle sheds among entire houses. As these materials is getting old, the dislodging of asbestos tiny fibres get into the surrounding air thus in human and animal bodies and definitely start causing several health implications including cancer. In addition, the massive users like schools, colleges, public offices etc. is going to turned into the waste in upcoming 5 to 10 years and there will be huge mass of Asbestos containing waste required to be safely disposed and handled. So for this profile, the mass user such as school, colleges, government offices are considered as the hotspots of the Asbestos. The individual housed who have used the Asbestos are also under severe threats. All these need to be protected by having safe and environmentally sound collection, management and disposal. The extent of uses of asbestos can be gages by following facts. In a place called Mirchiya in Siraha district, an upcoming town and newly declared municipality in eastern Terai. At least 10 Private Boarding schools have the Asbestos roofing in their schools as well as hostels. Another longitudinal travel to 2 KM distance in Siraha bazar, all most all houses have the Asbestos roofing. Among other uses, asbestos roofing has been rampantly used in central and eastern Terai in schools, colleges, hostels, hotel, restaurants, shops, individual houses, kitchen, animal sheds, toilets, government offices, security guard office and security personnel’s quarters, custom offices, bus counters etc. 26. Environment Tour and Sampling of Asbestos, Asbestos containing products CEPHED`s team mobilised in the ten districts of Nepal from Parsa, Bara, Rauthat, Sahrlahi, Mahotary, Dhanusha, Siraha, Saptari, Sunsari and Morang. During the field visit, we have meet several government officials, custom offices, villagers with asbestos roofing, dealers, retailers, hospitals etc. We have collected some nine samples comprising of 7 Asbestos sheets pieces, 1 brake shoe and 1 clutch plates in the first round of field visit during February and March 2016. While in second round during April 2016, we again made another field visit and meet some high level policy officials at central government offices such as Joint secretary at Ministry of Population and Environment (MOPE), Secretary at Office of the Prime Minister and Council of Ministers (OPMCM) and with some trade union called General Federation of Nepalese Trade Unions (GEFONT) as well as some workshop of brake lining and observe their working condition, took some sample of dust from their working stations, some asbestos pieces and also visited some other area with alternative roofing materials during such as U PVC and also took sample of it. 26.1 Method of Sample Analysis: Polarized Light Microscopy (PLM) The most direct and powerful application of polarized light microscopy (PLM) is the identification of hundreds, if not thousands, of particles types and materials based only on their morphological and optical properties. Many types of fibers, pigments, food products, pollen grains, spores, hairs, glass, combustion products, pharmaceuticals, explosives, minerals and other crystalline materials can be identified by sight alone or with the aid of a few simple optical tests that can be conducted in a matter of seconds with the polarizing microscope. PLM is also a useful tool for the recognition and identification of samples that contain multiple components and that would be difficult or impossible to analyse by other instrumental techniques. By using the unparalleled pattern recognition capabilities of the human eyes and brain, PLM offers a degree of speed and specificity unmatched by any other analytical technique. Polarized light microscopy employs a compound microscope equipped with a rotating stage and Polaroid filters for illumination of a sample with polarized light. It is an extremely useful light microscopy technique, solving a high percentage of analytical problems. A partial list of the properties of individual particles as small as a few micrometers that can be determined with the polarized light microscope would include size, shape, colour, density, surface texture, refractive indices, pleochroism, transparency/opacity, crystal habit, crystal system and interfacial angles. Through the use of observed physical manipulation and chemical reaction, properties such as elasticity and solubility may also be determined. When polarized light microscopy is combined with micro-scale techniques of qualitative analytical chemistry (chemical microscopy), it becomes an even more powerful and versatile tool for solving a wide variety of contamination, particle identification and materials analysis problems. McCrone Associates uses a number of Olympus brand polarized light microscopes55. samples. Some five samples (two dust wipe, two dusts and 1 brake shoe pad) were taken from this shop to see the level of asbestos contamination in their working environment. In addition to this, a special UPVC plastic roofing panel has been newly introduced in Nepal and we also able to see and take sample of it as well. CEPHED Result on Asbestos 2016, test carried out by Tokyo Occupational Safety and Health Center, Tokyo , japan Spraying was totally prohibited in Japan: The cut-off value for asbestos in all materials was set at 0.1% by weight. The OEL was set at 0.15 fibers/mL. Achieving a total ban and ensuring its implementation Making our society/environment free from asbestos (tackling the existing asbestos and contaminated areas) o Identification, management, removal and disposal o National strategic plan and the involvements of all concerned Eliminating asbestos-related diseases and achieving the justice for all affected o Early detection, diagnosis, treatment and rehabilitation o Register of exposed people and health monitoring o Compensation and psychosocial supports o Empowerment of victims and their families Facilitating international collaboration for achieving the above globally o Regional and international efforts o Signing, adopting and ratifying international instruments e.g. SAICM, Rotterdam Conventions and ILO Conventions etc. Disposal o Approved asbestos waste disposal sites o Regulations on disposal of hazardous wastes o This can be a model for life-cycle management of chemicals through environmentally sound manners. 27.4 Asbestos Free Environment/Society Strategic approach development and adoption • Endorsement and adoption NAP (National Asbestos Profile) developed by other section (e.g. In case of Nepal , CEPHED has developed with close coordination with all possible stakeholders including government agencies). • NPEAD (National Program for Elimination of ARDs) will be still needed even if a total ban has been introduced. • Goal setting with a road map for safe removal/disposal of all existing asbestos • Step-by-step, prioritized and holistic planning • Implementation structure with necessary resources • Clarification of the roles of all concerned • Decontamination of contaminated areas if needed o Areas affected by former asbestos mine/plant o Areas where asbestos materials/wastes were disposed (generally dump sites of asbestos wastes should never been redeveloped) o Environmentally sound management of existing waste and contaminated sites. 28. Conclusion and Recommendation 28.1 Conclusion Nepal is the first country in South Asia to ban import, sale, distribute and uses of all form of asbestos except lining of break shoe and clutch plates. Nepal being a small and beautiful country did not mine any asbestos and related products however import and use large quantities of asbestos and related products from different countries mostly from India and China and also having provision to receiving asbestos based products in several bilateral trade agreements with different countries. Though there is no specific regulation to deal with Asbestos exclusively earlier, government had banned its import, sale, distribution and uses effective since 20th June 2015, country had additional good national legislative framework in which asbestos and its related issues and problems can be regulated. Additionally, Nepal is already party to several chemicals and waste related MEAs and International Conventions namely POPs Convention, Basel Convention and Rotterdam Convention on PIC and has been also adopted the SAICM plan of actions. With respect to national capacity to dealt with cancer and any other asbestos related diseases and health problems, there is good infrastructure including some dedicated specialised cancer hospital itself in the country since more than a decade. Additionally, there is growing concerned on health and environment and particularly chemicals safety issue and hence some of the policy and project level initiatives to address the health and safety of the children, worker and general public are already ongoing. Some local initiatives and campaigning toward banning of all forms of asbestos has been already successful in shaping the legal ban of asbestos in place, and now research, follow up and awareness raising is on-going toward effective implementation of the government banning decisions. With all these initial initiatives and growing global concerned, it is high time for the Government of Nepal to take initiative towards ensuring the effective implementation of its banning decisions of all form of asbestos from import to use and envision the required robust specific legislative as well as institutional framework at earliest possible to protect public health and environment at large from the ill effect of asbestos. There is an utmost need to ensuring of not using and promoting any asbestos containing and other hazardous construction material in post disasters reconstruction of Nepal as well as ensuring the safe and environmentally sound management of hazardous waste containing asbestos and other toxic waste. Finally, the exposure from already used asbestos as the roofing materials in most of the Terai region of Nepal and in entire country need to be reduced and a national action plan need to be prepared , effectively implemented towards complete elimination of all form of asbestos from Nepal. 28.2 Recommendations Based on the review of existing country situation on various aspect and issues associated with the asbestos , its import, sale, distribute, uses, exposure , health impacts, asbestos related diseases , national level, institutional and health facilities and directly observing and meeting to the people, organisations and health care professionals, following recommendations has been made. Government of Nepal, MOPE to go for total asbestos ban and take all possible initiatives for effective implementation of its banning decisions of all form of asbestos from import, sale, distribute and uses. Ensuring the safe and environmentally sound management of hazardous waste containing asbestos and other toxic waste. National Actions Plans need to be prepared and effectively implemented towards complete elimination of all form of asbestos from Nepal. Stop the use of all types of asbestos and stimulate substitution/replacement of asbestos and asbestos containing materials, Enact robust and specific legislative & institutional framework to protect public health and environment. There is an urgent need to prevent of exposure from already used asbestos as the roofing materials in country and mostly in Terai. Improve early diagnosis, treatment, social and medical rehabilitation of ARDs Establish registries of people with past and/or current exposure to asbestos (and conduct health surveillance for/monitoring them). Demographic and Epidemiological study for asbestos related exposure potential and diseases, number of workers, listing of asbestos based and/or using industries with potential workers exposures, level of exposure, estimation of burden of diseases related to asbestos, disability adjusted life (DALYs) and deaths attributable to asbestos exposure etc. Ministry of Labour and Employment should either establish a separate OSH Department and/ or strengthened OSH Section under the existing Department of Labour. There should be specific OSH policy, Act and Standard for asbestos exposure limits with full mechanism of realizing eligible compensation for asbestos related diseases and estimate economic losses. Government of Nepal should enact the national foreseeable occupational exposure limits of asbestos along with the system of inspections and enforcement of the exposure limits. MOLE should urgently act up on towards ratification of ILO Convention on The Occupational Cancer Convention, 1974 (C.139) , The Asbestos Convention, 1986 (C.162) , The Chemicals Convention, 1990 (C.170), Promotional Framework for Occupational Safety and Health Convention, 2006 (No. 187), Occupational Health Services Convention, 1985 (No. 161) and Safety and Health in Mines Convention, 1995 (No. 176) and localize its provisions. Ministry of Finance, Department of Custom and all Custom offices in Nepal should strictly follow the Gazette Notifications of Asbestos ban and effectively implement the government decision so as to make ZERO asbestos import as per the gazette. Ministry of Finance and its department should develop required numbers of fully functional testing laboratories to test any suspected materials (import and domestics) for asbestos content and type as well as other chemical testing, All form of legal and illegal importation of banned Asbestos and Asbestos containing products needs to be strictly stopped. Ministry of Commerce, Ministry of Supply, ministry of Home Affairs and Department of Commerce and Supply Management (DoCSM) needs to strengthened and increased their market monitoring and seize all the asbestos containing products available in the market for sale, distribute and uses contravention to the Gazette Notification. The identified hot spots of the Asbestos uses (House, Schools, Government Offices, Security Personnel’s Offices and Quarters etc.) need to be tackling first and should replace with safer roofing material and handle the waste generated scientifically and environmentally sound manner. It also needs to stress stopping broken material being used by affected populations and also new asbestos material being procured by aid agencies and affected communities for any construction and especially for the Post Disaster Reconstruction of Nepal. There is an urgent need to amend all the building codes and material codes in the change context of already banned asbestos and asbestos containing materials. The toxic construction materials such as asbestos, asbestos containing products, practices as well as other toxic construction materials like leaded paints etc. should be avoided through proper inclusion of these issues in GREEN BUILDING Guideline. Cancer Hospitals need to initiate separate record keeping and study of prevalence of asbestosis (total number of peoples/workers with diagnosed asbestosis, asbestos-related lung cancer and mesothelioma to-date) among asbestos exposed workers/citizens. Ensuring of not using and promotion of any asbestos containing and other hazardous construction material in Nepal including post disasters reconstruction. All importer, dealers and retailers need to cooperate and collaborate with the government towards effective implementation and compliance of the Gazette notification of banning the import, sale, distribute and uses of the asbestos and asbestos containing products contravention to the Gazettes. Asbestos entrepreneurs should stop miss advertising about the asbestos as good construction material rather they should inform the public about its carcinogenicity. They should promote sale, distribute and promote and alternative safer materials . The ongoing cases in the Supreme Court of Nepal filled by Business Community against the government decision of banning this toxic asbestos should be settled at earliest possible in the favor of public health, workers health, children health and environment. Coordination among and between concerned government agencies and their departments and other stakeholders should be established and supported through functional mechanism toward identification, collection, monitoring and evaluation of asbestos, related health and environmental implications. Awareness among all stakeholders, importers, distributors and users as well as general public about asbestos, its health and environmental implications need to be raised. NGOs can play important role on this along with the filed level research and monitoring. Development agencies like WHO, ILO need to strengthen the national research, training and institutional capacity to address the Asbestos Related Diseases from the possible and potential exposure. Also support awareness raising and capacity buildings of the stakeholders. Trade Unions should be proactively engaged toward protection of workers from increased sources of asbestos exposure and help in effective implementation of the government banning decision. General public should stop purchasing and using any types of asbestos and asbestos containing products and handle with case the already exist asbestos in their home to be safe. • Media sectors can play vital role in disseminating information, fact and figure as well as health and environmental implications about asbestos thus to aware the public. Annex 2: Kathmandu Valley Road Extension Project letter for proper handling of Asbestos Containing wastes exist in their office. Letter from Government of Nepal, Ministry of Physical Planning and Transport, Department of Road, Kathmandu Valley Road Expansion Project to Department of Road, Planning and Design Division, Geo-Environment and Social Division, Babarmahal, Kathmandu assuring about the removal of asbestos being burying in Maitighar Mandala Chowk, kept in a sack and asking for the asking for necessary coordination and help to manage these asbestos containing waste. While developing this National Asbestos Profile, CEPHED team try to see those waste said to be safely kept with road project under Department of Road, talked to the concerned officials about these waste to take sample but none of the officials have any know how about the existence and their status and we did not able to take sample out of it. These might to still will Department of Road as toxic hazardous waste, need to be managed safely. Even complain has been launched through DOR-Grievance Redress System multiple times, but did not received any response so far. estimated of global burden of diseases of WHO . *** The reason why the above rate was calculated has not been explained yet. Report "National Asbestos Profile of Nepal (Based on the National Asbestos Profile by ILO and the WHO)"